You’re struggling with what to put in all those company status updates for Facebook, Twitter, LinkedIn, and Google+. Say nothing and your organization is out of touch. Post anything just for the sake of posting like “Happy Friday!” and you’re just clueless. While the New York Times has been trying to declare blogging dead for the last 5 years, the truth is that it has just taken many different forms and is more popular than ever. So why not have a growing asset that you can inexpensively publicize and draw buyers to you? Oh by the way, you then have your little piece of the web to promote on those social media sites, without having to struggle with what to say. We started blogging nearly 5 years ago when a new startup began outranking our 35-year-old firm on Google. As part of an overall inbound marketing strategy, blogging has doubled our sales replacing 4 sales people for just 1% of the cost. Today, we’re an up and coming blog, but our success has really been from helping clients by arming them with information to help their business. We utilize WordPress.com for the most flexibility and the least hassle – no complicated website integration or server to maintain. 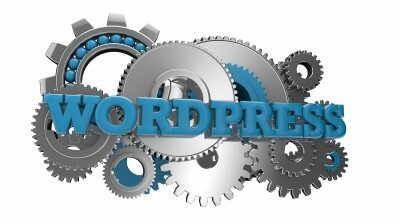 Get up to speed quickly with our 25 Expert WordPress.com Principles. You can definitely do blogging yourself and should plan on 3-5 hours each week to research, develop and publicize your posts. Marketing firms will tell you to publish daily and better yet three times per day. It seems a little disingenuous since the more you want them to produce, the more you pay. Posting a weekly relevant article for your customers (that is not about you) will put you light years ahead of your competition. Don’t want to go it alone? We can help.